This month is all about money! Troops and Crews can easily create and manage Budgets within the TroopWebHost accounting subsystem. 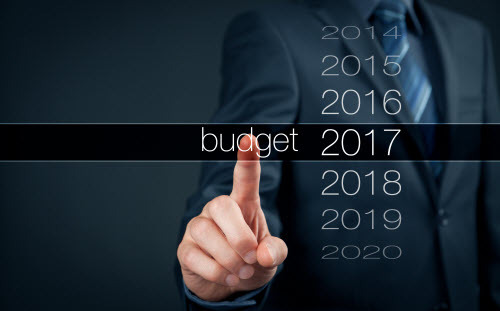 Fiscal Years can be defined for fund accounting. You can limit a parent's ability to manage subaccounts. View member balances while entering transactions. 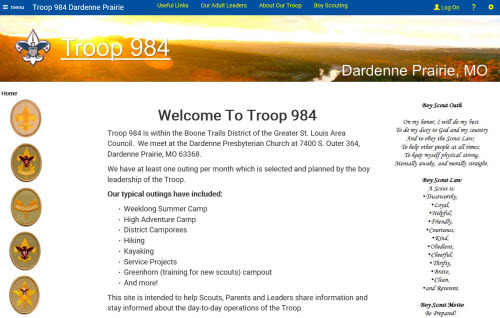 Troop 984 of Dardenne Prairie, Missouri! We loved the home page graphics with the ranks on one side and slogans on the other. Not only is the banner image gorgeous, but there is another banner along the bottom of the page that is equally cool! Other custom pages provide an outstanding primer for the scouting program.